"I'm a Tynesider and proudly must say -- give me the language that's spoken my way"
My interest in the long and varied tradition of our local dialect songs led me to one songwriter in particular whose work has a particular resonance. Jack Robson's songs have a sincerity and an ability to tug at the heart strings in a way that absolutely stands out. His songs contain humour, nostalgia, appreciation of human nature and, most important of all, a deep love of our area. All these qualities, and much more, are imbued in lovely songs that are the work of someone who deeply understands the nuts and bolts of music (harmony, melody and rhythm) and clever lyric writing. 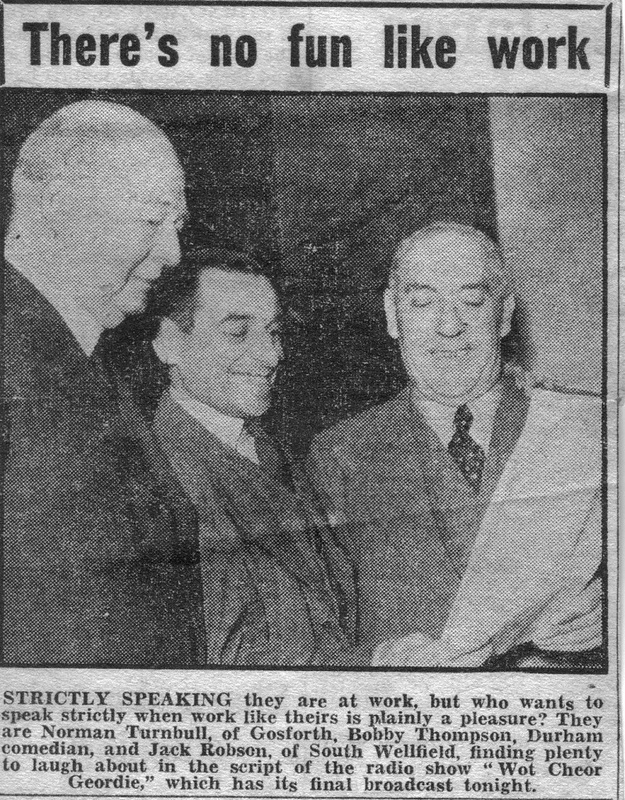 Below is a short appreciation of Jack's life including some press cuttings illustrating the range of his activities and the respect in which he was held. My sincere thanks and gratitude to Jack's great-niece Heather Johansson who with her mother Sylvia (Jack's niece) searched out the material from their family records and allowed me to show it here. 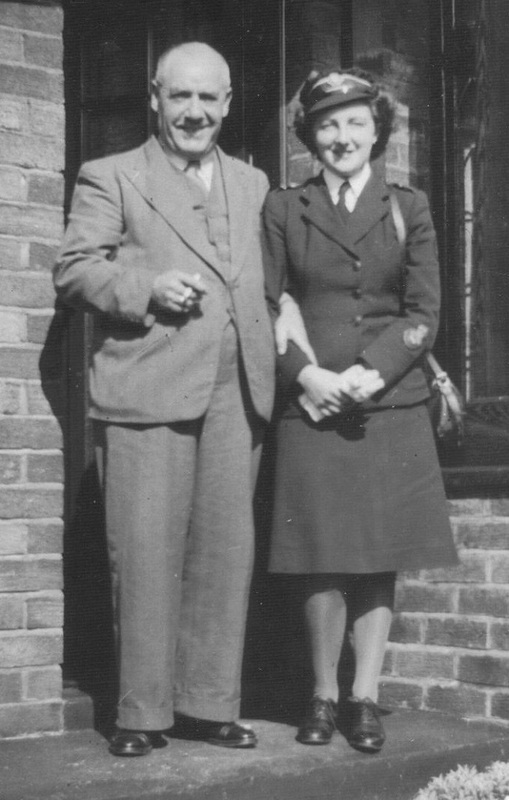 One of the photos below shows Jack with Sylvia in uniform. John Gair (Jack) Robson was born in 1885 at the village of Annitsford, Northumberland. Even as a teenager he was a very good pianist but also showed an interest in music composition which he was undertaking by the tender age of twelve. After his school years he studied for a career in education and music at Bede College, part of Durham University By the early age of 24 he had become headmaster at Horncliffe village school in the parish of Norham, North Northumberland (near Berwick). Jack served his country in the army during the Great War and then returned to his school at the end of hostilities. 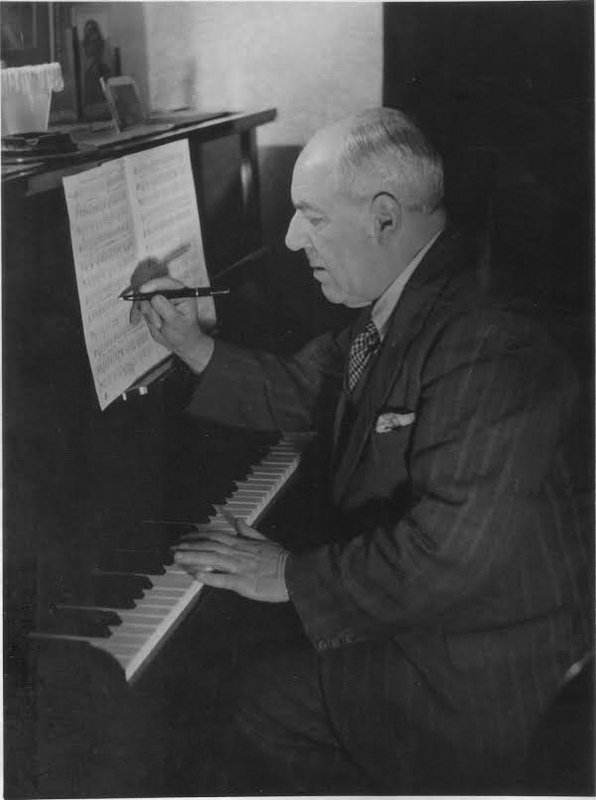 His abilities as a good pianist/organist who was also interested in composition became well known. It led to opportunities to compose religious music, including some commissioned work for a lady carrying out missionary work in the county. 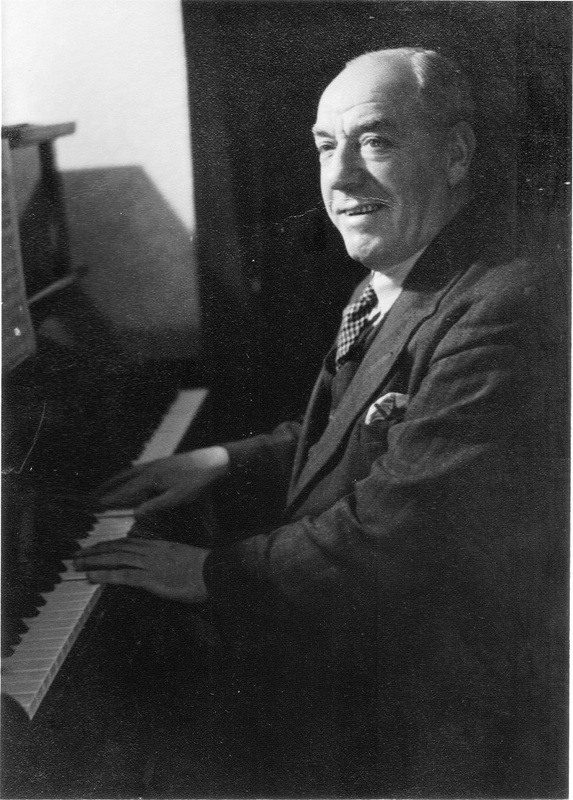 Later his compositions began to reflect his interest in local places, events and people (an early example being 'Berwick Fair') and he began to write lyrics in dialect too. His output became prolific. 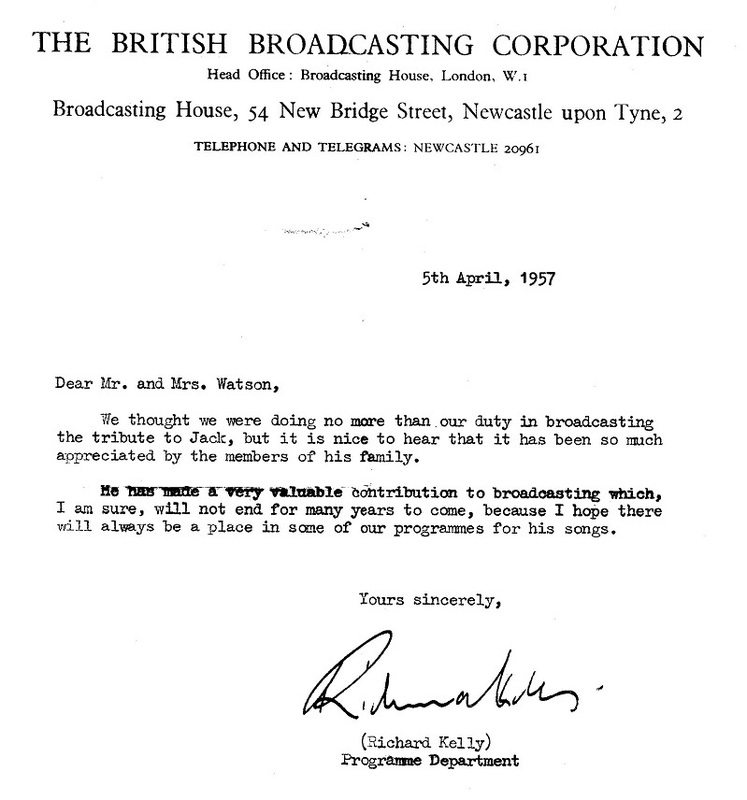 His teaching career saw him move back down to Tyneside to become headmaster at Backworth and Shiremoor Schools whilst his composition work led to a close relationship with the local BBC for whom he was eventually producing musical works on request at twenty four hours notice! 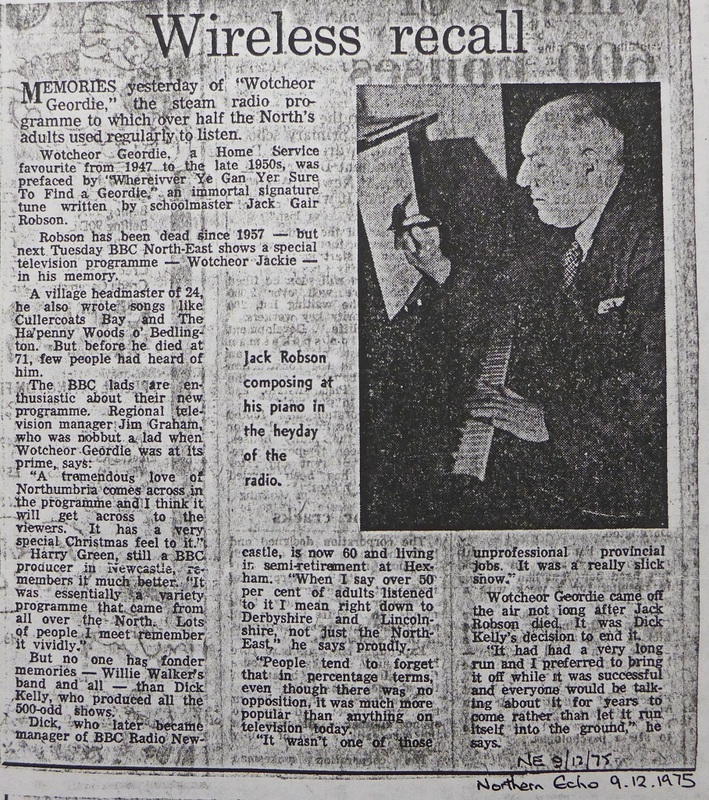 The launch of a very popular BBC Home Service radio show 'Wot Cheor Geordie', in 1947, was Jack's crowning glory. The show built up huge listening numbers. Much of his work was used for this weekly show and one of his songs, 'Wherever ye gan you're sure to find a Geordie' introduced the show. 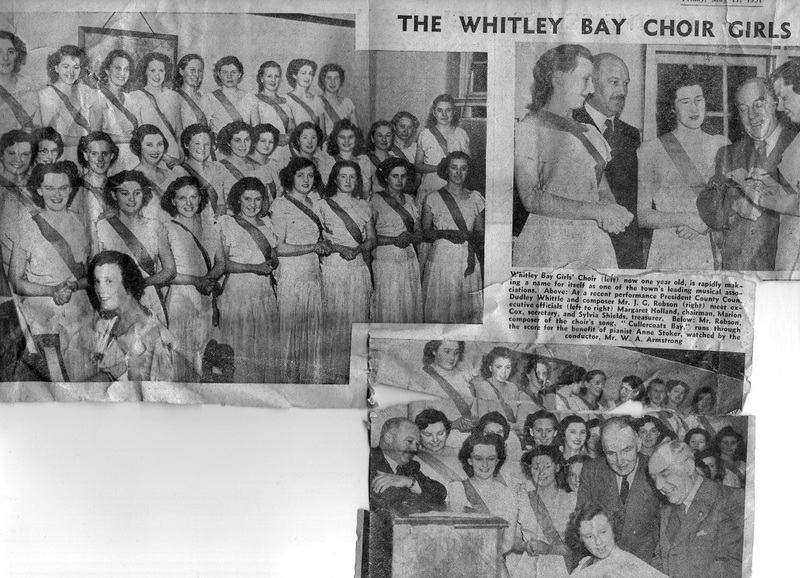 It assumed such universal popularity that for many years it just about displaced 'Blaydon Races' as THE Tyneside anthem. 'Wot Cheor Geordie' ran for about ten years. 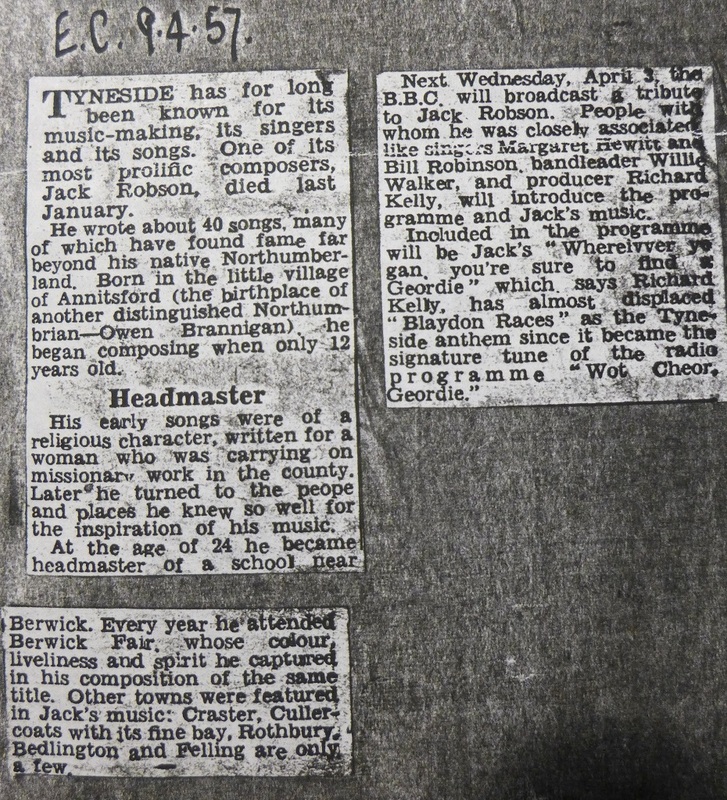 A commemorative BBC North East television show, 'Wot Cheor Jackie', was broadcast in 1975 which looked back affectionately to Jack's songs and his work for the BBC and of course the legendary 'Wot Cheor Geordie'. Other great songs Jack composed, to name just a few of many, were 'Cullercoats Bay', 'The Ha'penny Woods at Bedlington', 'Pot Pies and Puddens', 'My Cheviot Hills', 'The Howty Towty Lass' and a little gem 'Canny Tyneside'. 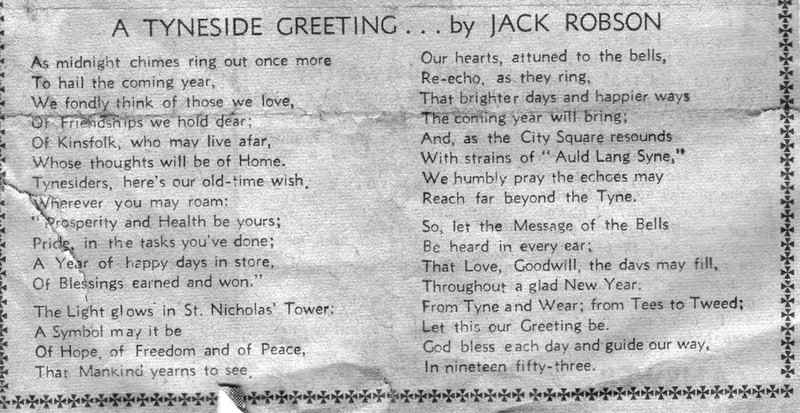 Jack had other musical connections and interests including writing musical plays and poetry. Much of his life's work involved helping youngsters and adults alike to appreciate and partake in music. 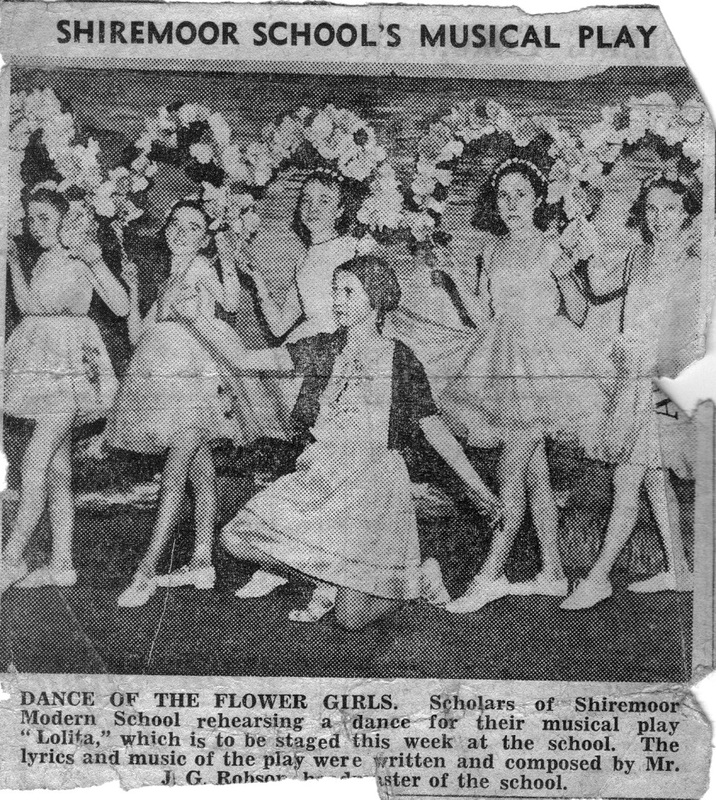 Among them his work as musical director of Earsdon and District Operatic Society, composer and musical director for musical shows performed by the pupils at Shiremoor Modern School where he was headmaster, and composition work for Whitley Bay Girls Choir. 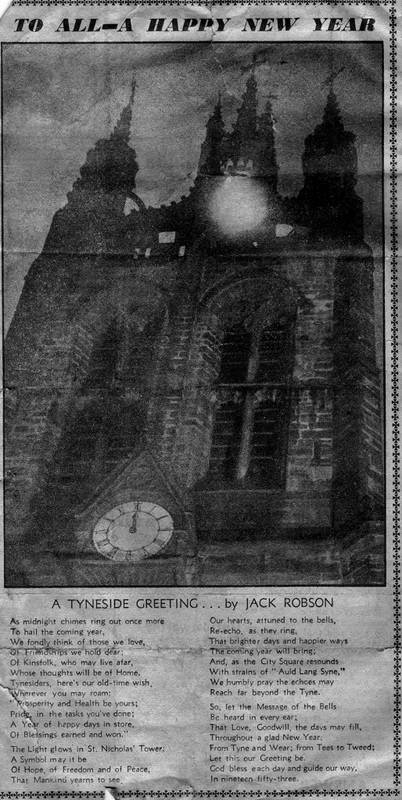 Jack Robson passed away in 1957 aged 71. 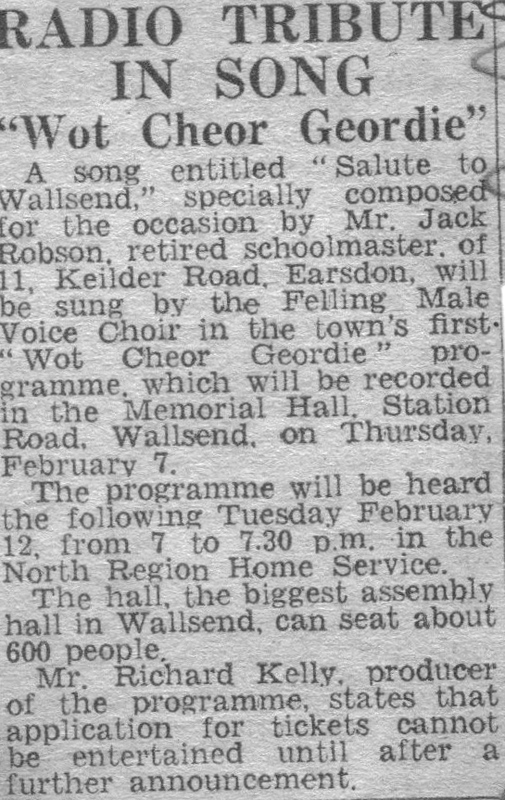 He was a much loved man who brought his passion for music to his pupils where he taught, to amateur music making groups he was involved with and to the wider Geordie and Northumbrian public who appreciated his songs which captured somehow the very essence of what it is to live in this area and to have great pride in it.